Dehydration is something that you need to be very aware of. It can creep up on you unsuspectingly and leave you to have a terrible run or more severe health consequences. They say that a runner really only needs a pair of shoes but really a runner needs shoes and almost more importantly he needs water, or some form of hydration. Many studies have proven that poor performance, injury and soreness (i.e. muscle soreness) can be partially or even entirely linked backed to a body being dehydrated. This means that staying hydrated could ward off those undesirable aspects leading us to potentially our best runs and races! Our bodies are made up of about 70% water so is it any wonder that it is one of the few necessities in life? Water is a crucial for our cells and muscles. Without it, cells won’t be able to change glycogen into fuel and energy as efficiently. If our cells aren’t doing this transition then wastes won’t be taken out of our body properly and oxygen is not able to be delivered as quickly. 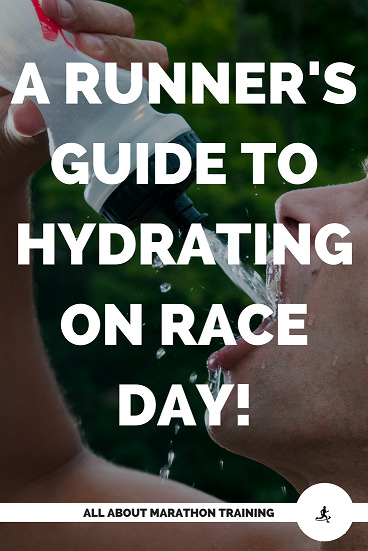 In fact everything that’s stressful about racing is multiplied without proper hydration. Pour water on your head. This will help to cool your body off and keep your from feeling the dehydrating effects of water loss through sweating. Read the signs! The number one sign that you are dehydrated is when you feel a tingling in your skin. This tingling can start to be very mild but you really never want your body to get to this point. In fact, you are probably dehydrated before you even feel thirsty which is why it is so important to drink even when you are not thirsty. Drink when you wake up and before you go to bed. Right as you get out of bed, before breakfast or any food intake, you should drink at least an 8 oz. glass of water. Your body has not had anything to drink all night and you need to make up for this. There are also many health benefits for drinking a large amount of water upon awakening such as improved digestions, weight loss and a feeling of satiation. It is also important to remember to have a water schedule set up throughout the day. When you are feeling hungry and want to snack, try drinking water. It fills you and more often than not you will find that you were really just thirsty rather than hungry. Here is some more information on water intake. Avoid excessively drinking diuretics. Two of the most popular diuretics (which actually take water out of the body) are coffee and alcohol so don’t drink too much of these especially before a race! If you do drink a glass of a diuretic, make up for it with an extra glass of water. Drinking too much water can lead to a dangerous and potentially fatal situation called hyponatremia or water intoxication. Our body needs a balance and so if we are drinking large amounts of water, we should also be taking in some electrolytes with it. Remember, electrolytes are minerals, such as magnesium, sodium and potassium that your body loses during exercise especially in sweat. They are necessary for cellular metabolism and keeping a balance between inter and external cellular relations. Without electrolytes are bodies are compromised and limited in performing its basic functions. As we run, especially long distances, our electrolyte stores are quickly depleted. Try and make sure you take in some electrolytes the day before the half marathon. Your energy drink of choice should suffice. The researchers tell us that consuming water and carbohydrates together help to convert those carbohydrates more effectively into glycogen. This means less energy used and more energy saved for during the half marathon. In order to form proper hydration habits during a race it is important to learn to drink well during your runs. 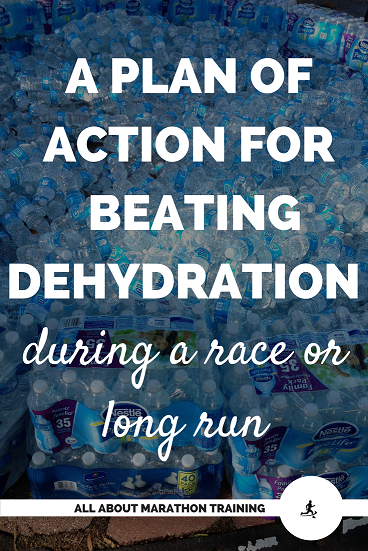 Set up your own water stations This is very helpful for your long runs. Plan your routes strategically by going the route and placing water/sports drink bottles every couple of miles or so before you run . 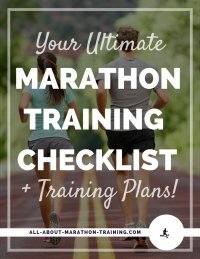 Not only will this help you to ward off becoming dehydrated but it will also motivate you to run to your next bottle of liquid when motivation is running low. Another idea is to take advantage of water fountains set up in your community and plan according to their placement. Carry your fluids with you. If you have your water or sports drink with you on your run you will be more likely to drink and stay hydrated rather than putting it off or skipping it altogether along the route. A lot of runners like wearing a Fuel Belt like this one. Another popular option is the Camelbak which is a comfortable and light weight back pack that carries your water. Camelbak which is a comfortable and light weight back pack that carries your water. Drink about 8 oz every 25 minutes. Some people will need more or less then this amount but as a general rule it is a good guideline. When it is hot outside you will need to up your intake and extreme heat conditions can call for you to even double this amount. Set your timer on your watch if you tend to forget or are running in cold weather which tends to decrease your desire to drink. Take along sports drinks for runs over an hour.On runs less than an hour, water will do the trick. Even on runs over an hour water is sufficient. However sports drinks that contain electrolytes and carbs help to enhance our replacement of glycogen that we are depleting the longer we run. 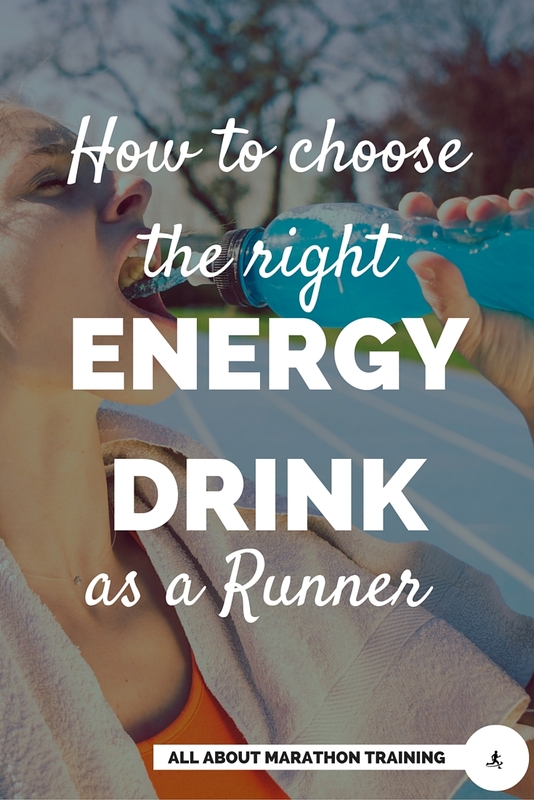 See my energy sports drink recommendations for runners here. Wear the proper clothing. As a runner, try to stick to polyester material. This will wick away the sweat from your body causing you to stay much cooler. The improper material can trap the heat inside your clothes, making you feel warmer, causing your body to work harder to thermoregulate itself, and increases water loss at a higher rate. 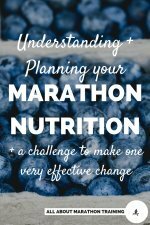 Some endurance/marathon runners like to take salt tablets to help balance their electrolytes that they are losing during a long run particularly through sweating. Remember though that salts can be dehydrating and can make you feel thirstier. Only take salt sticks if you really do lose a lot of electrolytes when running. The key to avoid becoming dehydrated during a race is to get the fluids in BEFORE you start to run. That means the night and day before your race your water bottle should be your best buddy! The day before a race, try to drink 6 -8 ounces of water every two hours. However, do not solely concentrate on water. 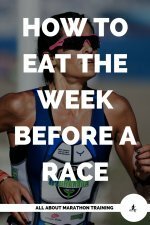 Drink a total of 8-16 ounces of an electrolyte drink as well, the day before. Note on Diuretics: Steer clear. Remember that diuretics draw water out of the cells causing you to become thirsty and dehydrated faster. Save the sodas, coffee, and alcohol until after the race.